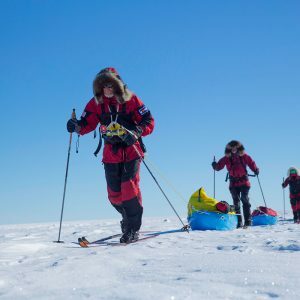 We plan on running a full South Pole Ski expedition in the 2019 season. Contact us for details on joining the trip. 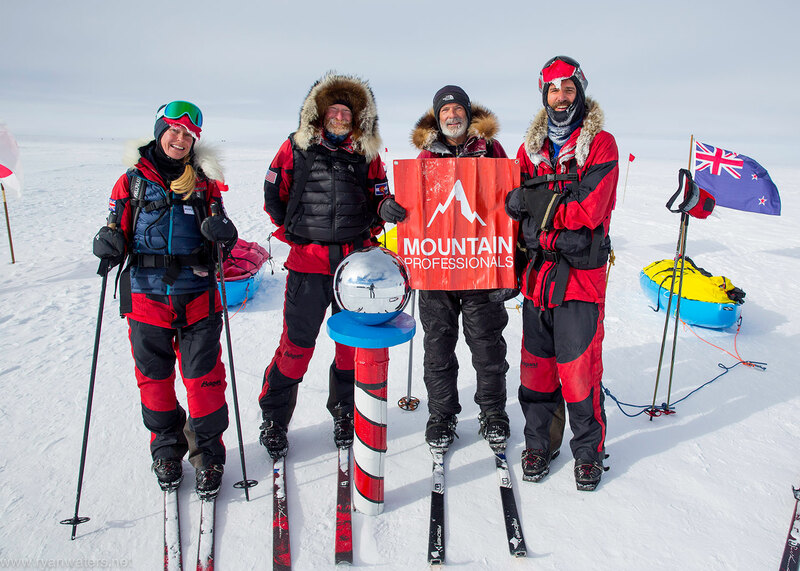 Want to learn more about skiing to the South Pole, with the premier polar guides? Contact us today and we will give you all the info you need. 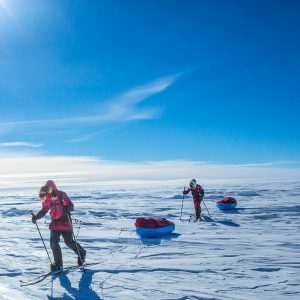 The South Pole Ski trip is a unique opportunity to complete one of the worlds greatest adventures. 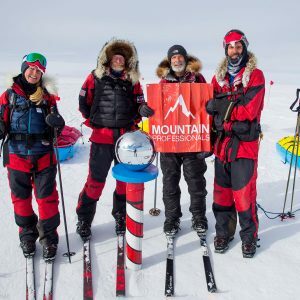 Mountain Professionals is well positioned to offer polar expeditions because our staff includes polar adventurers with in-depth experience including multiple North Pole, South Pole, and Greenland expeditions. 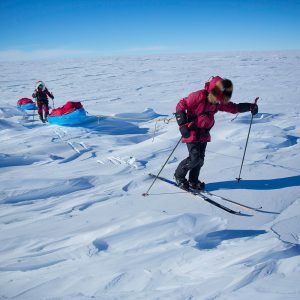 In 2010, guides Ryan Waters and Cecilie Skog completed the first unsupported/unassisted ski traverse (no resupplies, no kites, only human power) of Antarctica covering 1,800 kilometers in a 70 day expedition. 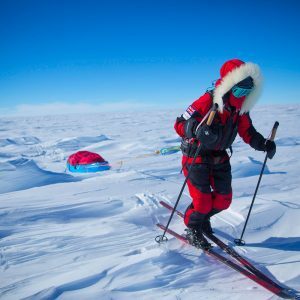 Ryan Waters has gone on to guide an unsupported full length ski expedition with 3 clients, and ski unsupported to the North Pole. 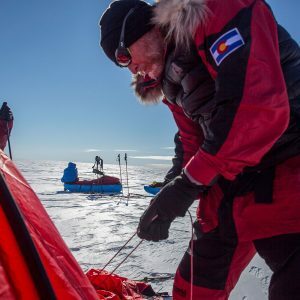 Polar guide Eric Larsen is one of just a few other Americans to lead or guide expeditions to both the North and South Poles. 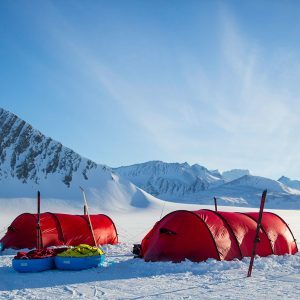 Join our qualified Mountain Professionals guides for a full ski trip to the South Pole via the Messner start. 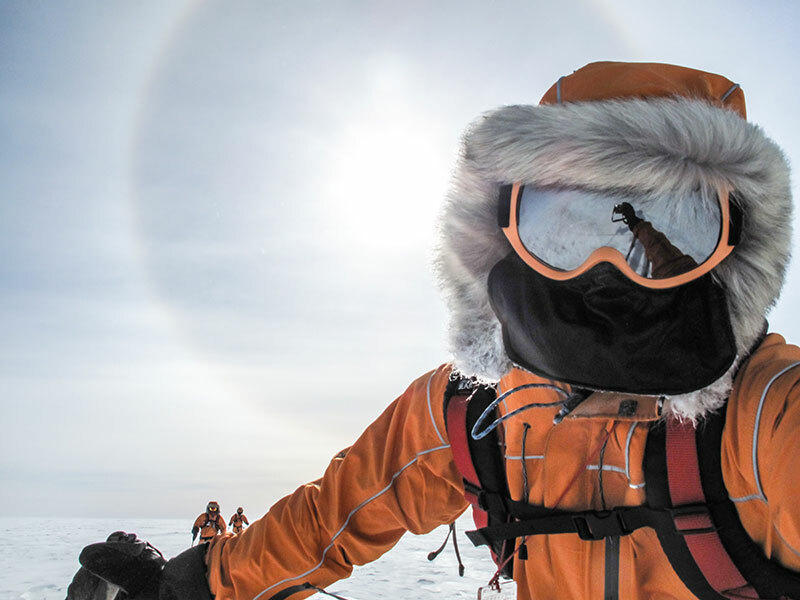 Our adventure begins in Punta Arenas, Chile, where we prepare our expedition sleds, food, fuel and supplies. 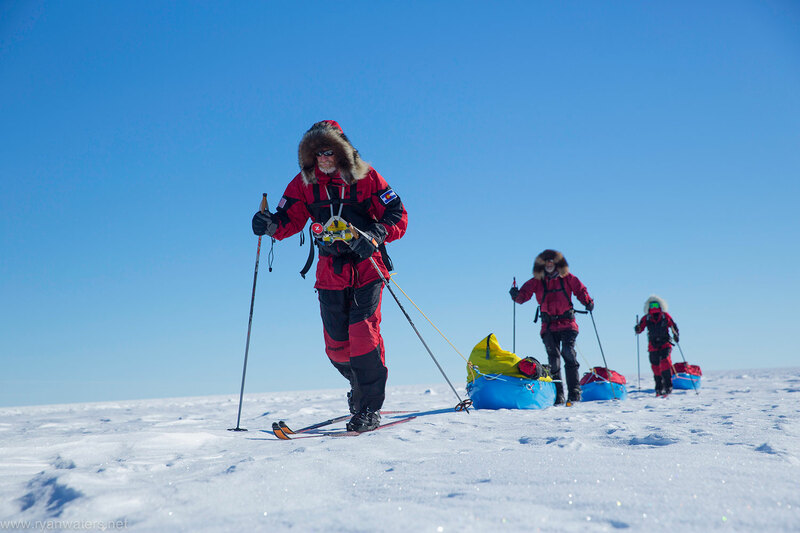 We take great care in our pre-expedition planning to develop a strong and efficient team. 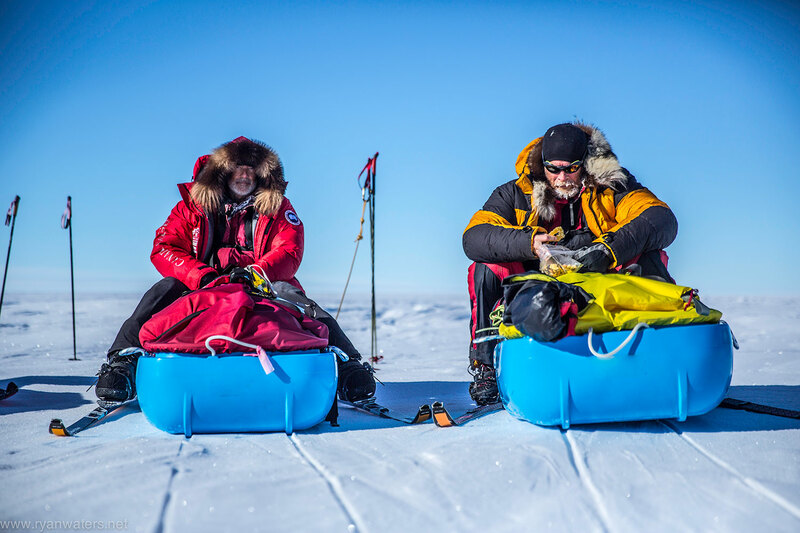 It crucial to have a well prepared, highly functional team for travel in Antarctica. We fly from the southern tip of Chile to Union Glacier on the continent of Antarctica. 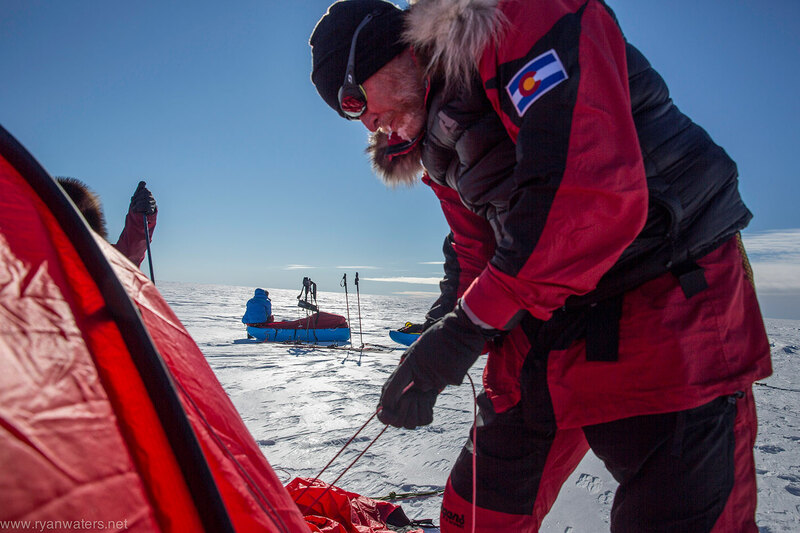 Here we make last preparations to gear and our expedition sleds. 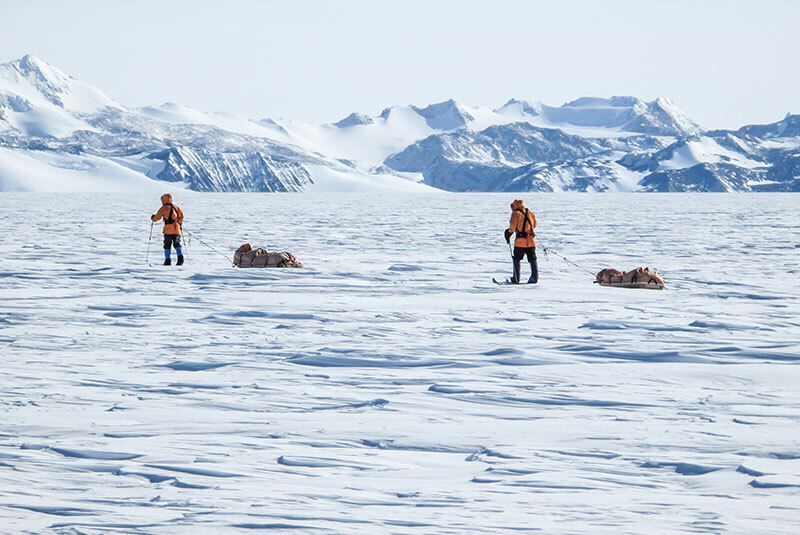 We will take several days to acclimate to Antarctica and to enjoy some beautiful “warm up” ski tours around the surrounding landscape prior to the flight to our starting point. 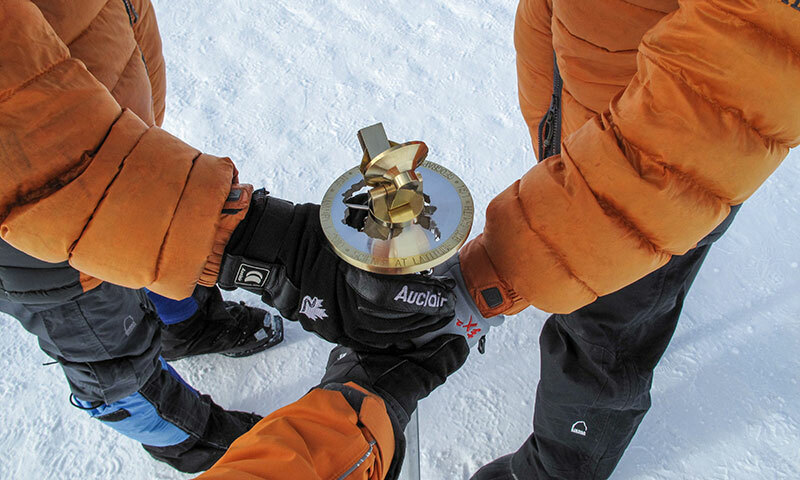 The Messner-Fuchs start is a traditional launching point for full ski trips and traverses some 900 kilometers (486 nautical miles) over the Antarctic continent to reach the South Pole at an elevation of 2,835 meters (9,306 feet). 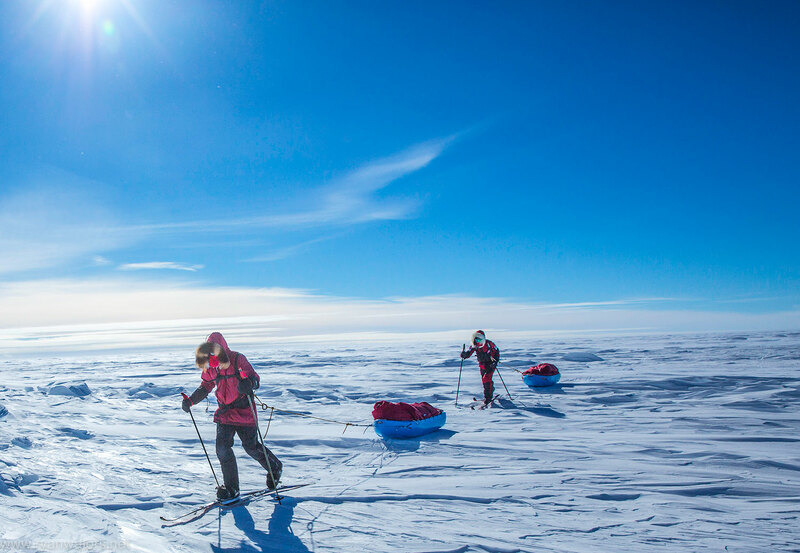 This challenging route begins at the coast of Antarctica along the Ronne Ice Shelf and works its way through the Foundation Ice Stream. 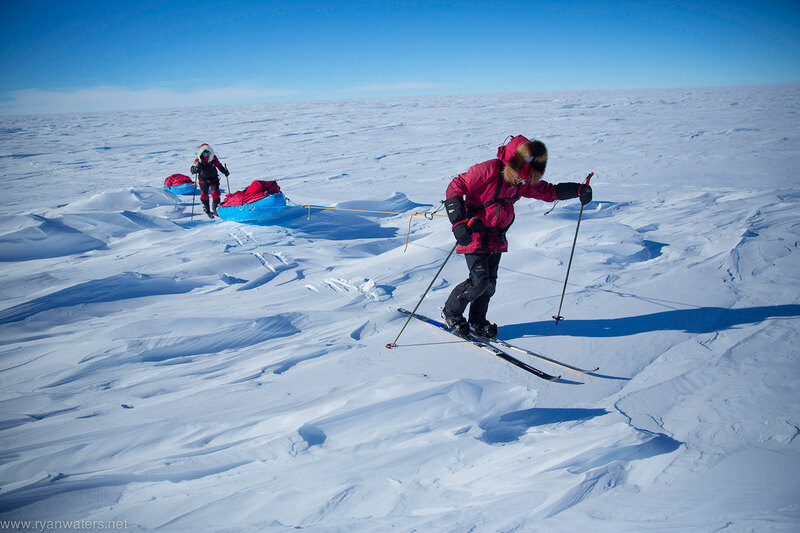 Skiing onwards we cross large expanses of wind carved snow and ice features before navigating close to the isolated Thiel mountains and on to the Pole. 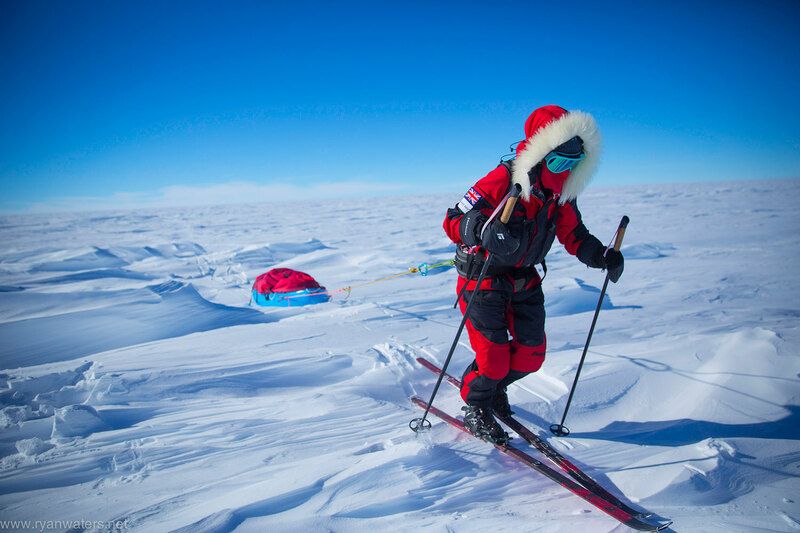 Our team goal will be to reach the geographic South Pole in good style. 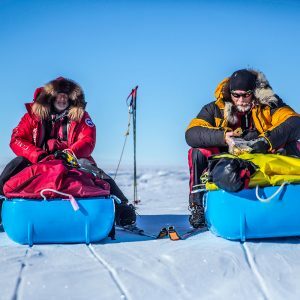 This is a very challenging expedition and requires team-members to work together to overcome extreme challenges on a daily basis for an extended period of days. 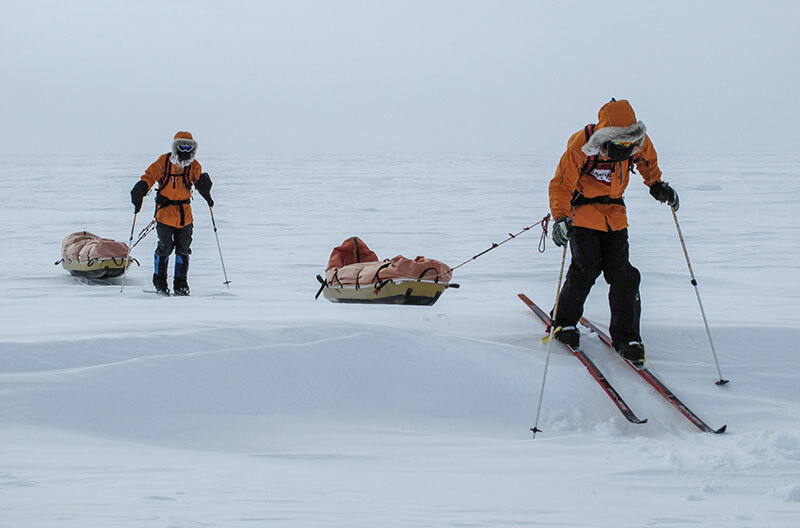 The pre-expedition training regime is demanding and is very important to a successful ski expedition of this length. 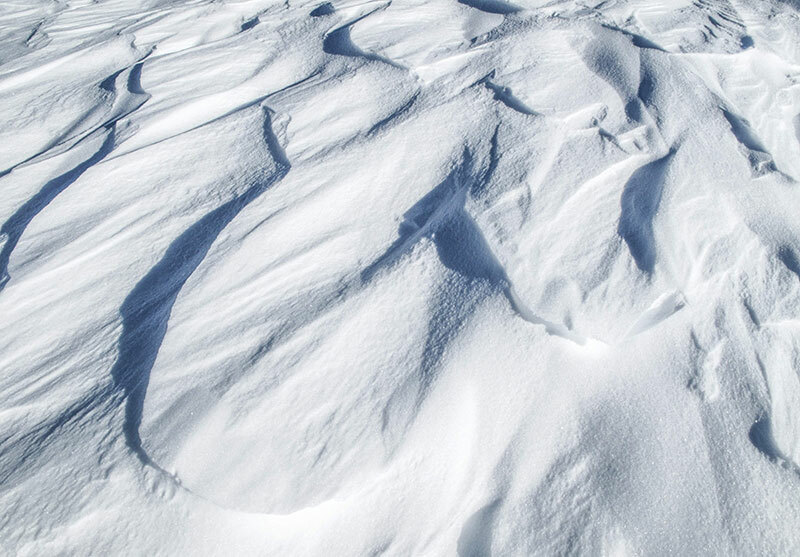 Flights from Punta Arenas, Chile to Union Glacier, Antarctica and back. 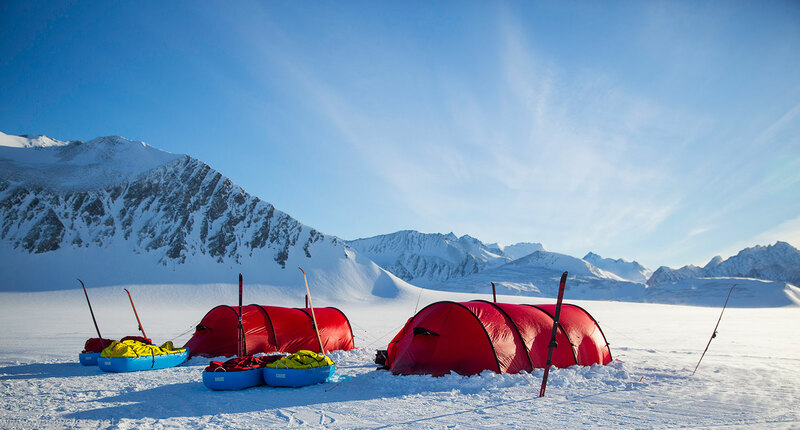 Accommodations in Antarctica in tents. Ability to send and receive email and photographs via satellite system.